Manchester United after Mateo Kovacic? The World Cup might be in full swing, but that doesn’t mean the summer transfer window is not going on in the background. Teams are still attempting to sign players during the tournament, even ones currently on international duty in Russia. One of those teams seem to be Manchester United, who might be looking to make their third signing of the offseason. According to Arancha Rodríguez, the Red Devils are one of three teams after Real Madrid midfielder Mateo Kovacic, with the other two being Serie A sides Roma and Juventus. This report coincides with other rumors that the player wants a move away from the defending Champions League winners. In an interview with Marca, Kovacic admitted that he was unhappy with his lack of playing time, and feels he needs to leave Madrid in order to find more gametime elsewhere. If Madrid are willing to sell, every club on the planet should be interested, especially United. Kovacic thoroughly deserved a move to Real after coming through the ranks at Inter Milan. He hasn’t gotten many chances with Madrid, but has always done well when given the opportunity. He played a key role in their La Liga winning side from 2017, playing most league games while the starters were rested in preparation for Champions League contests. He is considered one of the best young center midfielders in the world today, as has the potential to become a world beater. Kovacic might not have raw speed, but is incredibly quick on the ball, and can turn his marker in an instant. His passing is even better, as he possesses the ability to pick out a teammate from any distance. The Croatian has quite an engine on him as well, allowing him to play consecutive matches without any issue. Kovacic is currently at the World Cup with Croatia, and has helped the team pick up six points in their first two matches. He has featured in both contests off the bench, and assisted Ivan Rakitic’s goal against Argentina. With Croatia already qualified to the round of 16, there’s a chance Kovacic will get the start in their final group game against Iceland, coming in to allow Modric and Rakitic some rest. However, there are still plenty of pitfalls that could prevent a potential move. The biggest would be Real Madrid, who are adamant that they won’t sell the player. United don’t have the strongest relationship with the Spanish giants either, who might still hold a grudge over the De Gea fax machine fiasco of 2015. 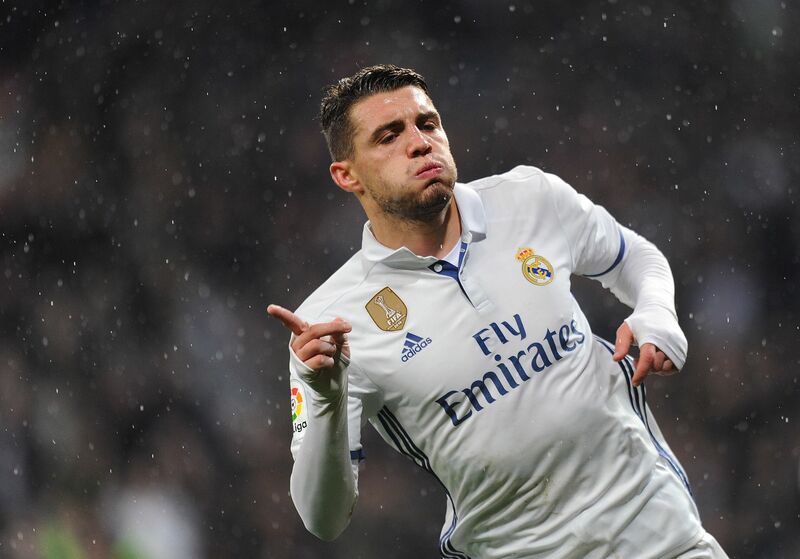 There is also the possibility that Kovacic could just want an improved contract that Real, and is using outside interest as a bargaining tool to increase his weekly salary. If there is a chance that the deal could be done, Man Utd should be all over the player. Kovacic has mentioned that he sees himself as a defensive midfielder, and could slot right into the Manchester starting XI. Matic did have an impressive campaign last season, but is getting up there in age. It’s better to have a replacement lined up one year early instead of a year too late, and Matic could be the perfect mentor to help Kovacic adapt to life on and off the field. It’s unlikely any sort of deal would be done over the course of the World Cup, but there will still be plenty of time to complete the transfer whenever Croatia are eliminated from the tournament. This will be one of the storylines of the transfer window, and will only heat up as the summer months roll on.